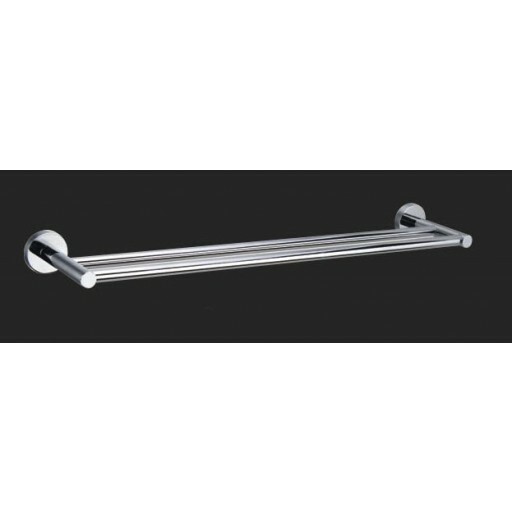 The Dome Double Towel Rail boasts European design and technology, simplicity and ease of use. The Dome Double Towel Rail boasts European design and technology, simplicity and ease of use. The easy to clean bright chrome finish and heavy solid brass construction illustrates quality and durability.